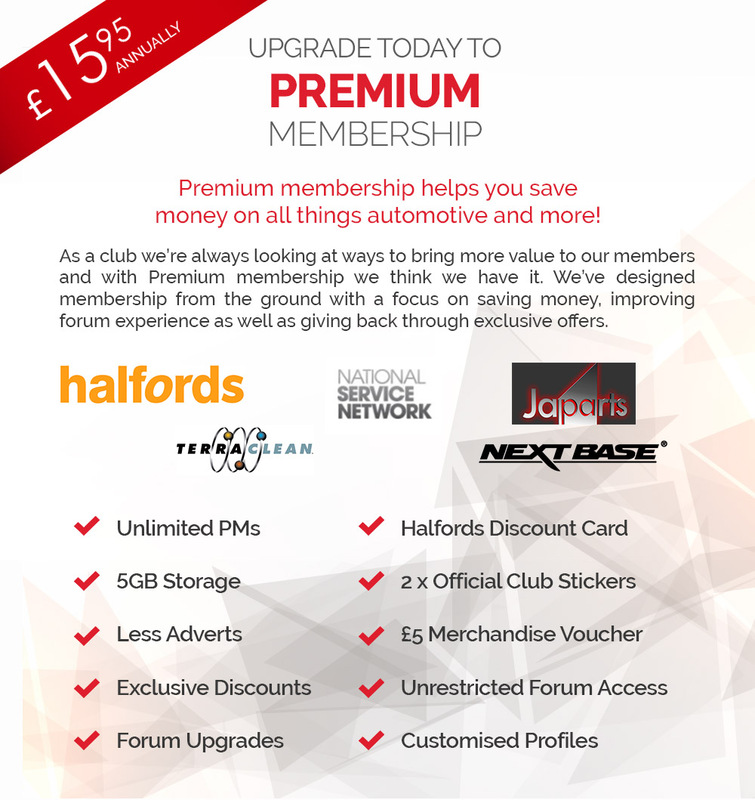 Exclusive Discounts - We are constantly looking out for new discounts for the club for your benefit. More Storage - Members get more storage space to upload pics of their pride and joy instead of using free services that could close your account. Even if you do not continue your membership in the future, your photos will still exist. Less Adverts - We reduce the adverts down for Premium members around our club website. Unrestricted Forum: As a Premium member we will not restrict how many times you post and you will have access to any closed areas. Sign up to Premium Membership to receive club benefits and we will also post you a pack in the next 7 days. If paying by cheque we will send you a reminder 7 days before your membership ends. If paying by PayPal then your subscription will renew automatically every year. You may cancel your subscription renewal at any time by logging in to your PayPal account and cancelling.